Shortly before 1 p.m. this afternoon (July 31), Trooper J.J. Kempo was called to the scene of a fatal crash on I-85 in Mecklenburg County. A 2004 BMW sedan was traveling southbound on I-85 near mile marker 8 when it veered off the road onto the shoulder, striking a stationary 2006 International highway maintenance truck. Speed is believed to be a factor in the crash. The front seat passenger – Rita A. Pettiford, 65, of Plainfield, NJ – was pronounced dead at the scene. Roy Moss, 67, of Plainfield, NJ, who was driving the BMW, 30-year-old Jestine T. Pettiford and a five-year-old female were all transported to Community Memorial Hospital in South Hill with serious but non-life-threatening injuries. A pair of two-year-old boys was also transported with minor injuries. A 13-year-old female in the BMW was transported via MedFlight to VCU Medical Center in Richmond with serious injuries. The driver of the highway maintenance truck – Malcolm J. Williams, 44, of Colonial Heights – was uninjured. Moss is charged with reckless driving and three counts of failure to use a child seat. 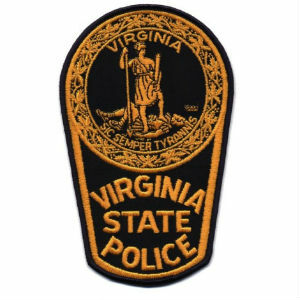 The Virginia State Police Appomattox Division Crash Reconstruction Team is assisting with the ongoing investigation.